Arbor-Nomics® Turf Inc., a leading Atlanta lawn care provider servicing Metro Atlanta and surrounding areas, has received the 2015 Angie’s List Super Service Award. This is the lawn care company’s fourth Super Service Award. 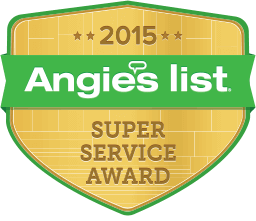 According to Angie’s List, to be considered for a Super Service Award, a company must average an A rating for each of three customer-review categories: all reviews; reviews for the past three years; and reviews for the most recent year-long period, which runs from the beginning of November through the end of October for each award year. Fewer than 5% of Angie’s List companies qualify to be in the running for the recognition. The percentage of companies that actually receive the award is even lower once additional criteria are applied. Arbor-Nomics emphasizes customer service and satisfaction as an integral part of its approach to Atlanta lawn care. To ensure effective treatment of lawns and ornamental trees and shrubs, every field technician, or Certified Landscape Specialist (CLS), is required to undergo extensive training and testing before ever treating a customer’s property. Furthermore, each customer is served by the same CLS or CLS team, enabling the field techs to understand and monitor the specific needs of individual yards. At the end of each visit, a CLS leaves the customer notes detailing what treatments were delivered and why, as well as tips for yard maintenance and information on any potential problem areas the homeowner should keep an eye on. The company makes free service calls between regularly scheduled visits to check out any concerns a customer might have.